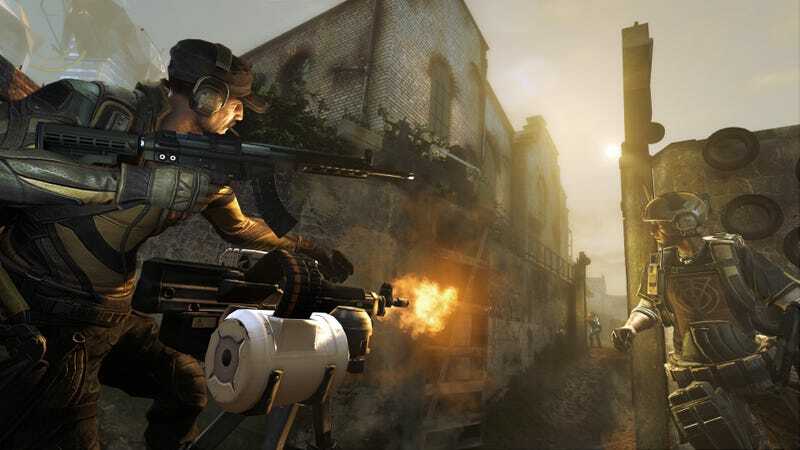 Dirty Bomb, the free-to-play shooter coming soon from the makers of Brink, has changed its name to Extraction and while one might think the swap was done for reasons of taste or not attracting government surveillance, the real reason is more quotidian, says the studio. "Extraction was Dirty Bomb's original name," developer Splash Damage wrote on their official blog. "The reason we didn't stick with it for the closed alpha was that we weren't sure if we could secure the worldwide trademark for it." Now that it's partnering with Nexon, one of the largest publishers of free-to-play games, the studio is confident they can get the Extraction trademark, so back it goes to that name, they say. In the same post, Splash Damage vows "Extraction will not be pay-to-win" and the studio retains complete creative control in its deal with Nexon. "You need to always be able to understand why you won or lost, with a welcoming community helping you improve your game and become a better player," they say. "That's what Extraction is for us, and Nexon is backing this vision all the way." For those of you headed to PAX, the game will be playable at the expo.